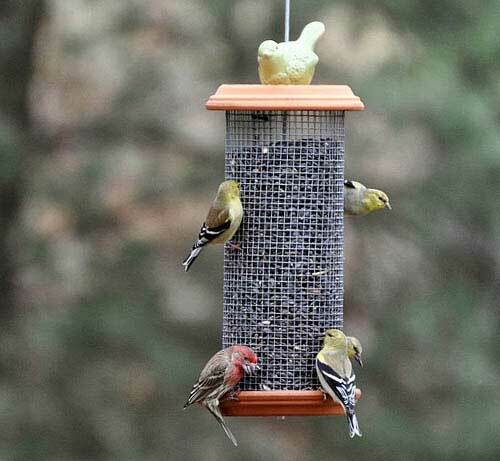 Add a layer of beauty and charm to your garden with decorative bird feeders. 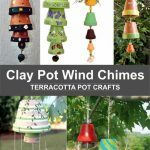 You can place decorative bird feeders virtually anywhere, front garden, back garden, hang them from trees attach them to a balcony. Wherever you place them you can just sit back and watch as a variety of birds begin to make your feeder a regular stop off. 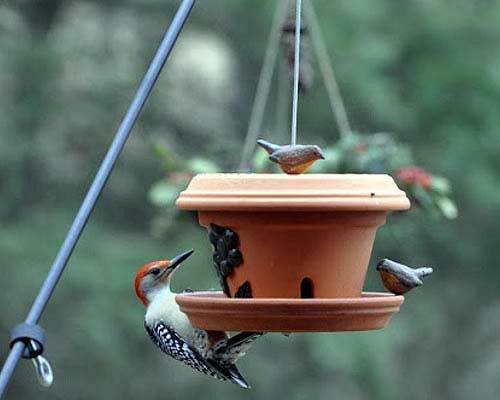 You may also want to consider using a variety of styles of bird feeders so that you can attract different species into your area. Also, different types of food will help too. 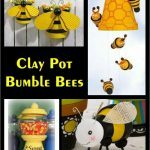 You can buy or make a wide range of decorative bird feeder styles. 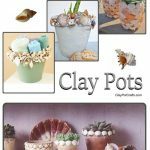 But today I have gathered a collection of projects for you to try, all of which [of course] involves the use of clay pots. Different birds Like different food and eat in different ways. 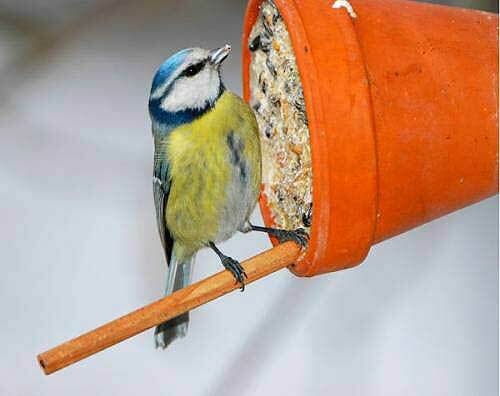 Visit the RSPB website for more information on feeding wild birds. Try different shapes and different foods, decide what birds you want in your garden or simply take pot luck. The choice is yours. When making or placing you decorative bird feeders you should also consider how easy it will be for you to refill and clean them. 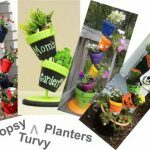 These can hang from chains, sit at ground level or be raised on some flat surface. The food simply placed openly on the dish for the birds to take. 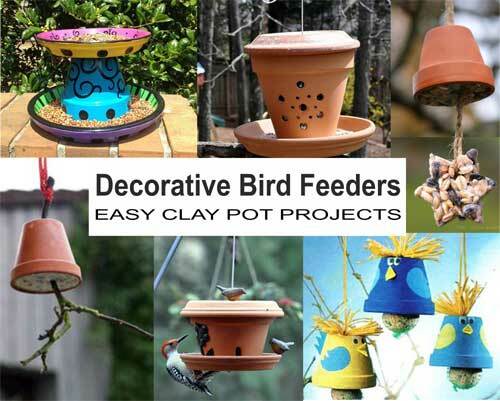 These type of feeders are great for attracting Blackbirds, Jays or Bluebirds. 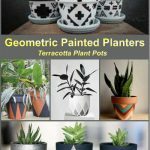 A simple terracotta plant base is really all you need. 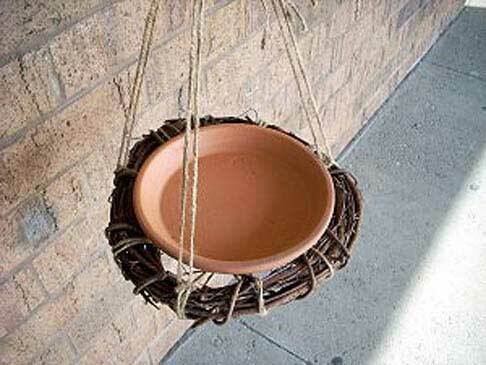 A simple clay saucer, sat in a wreath of vines makes an excellent bird feeder. It would work equally well for a bird bath. 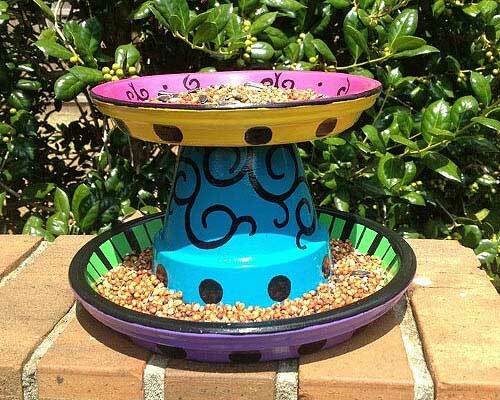 This beautiful hand-painted dual layer decorative bird feeder (found on Pinterest) is an excellent example of a dish feeder. 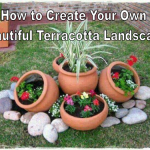 Made from two terracotta pot bases and one pot, it can be made to whatever size you wish. 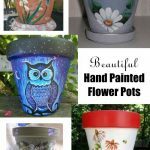 Simply fix the pots together and paint in your own style. Tube feeders work by way of a tube. The seed flows continuously with the assistance of gravity, through holes at the bottom into a flat base. The flat base offers a resting spot for the birds to settle whilst feeding. Another typical addition to the tube feeders is that they tend to have an overhang to give some protection from the weather. This is a typical tower bird feeder. 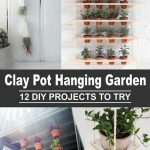 An easy project comprised of two small terracotta saucers and wire mesh. 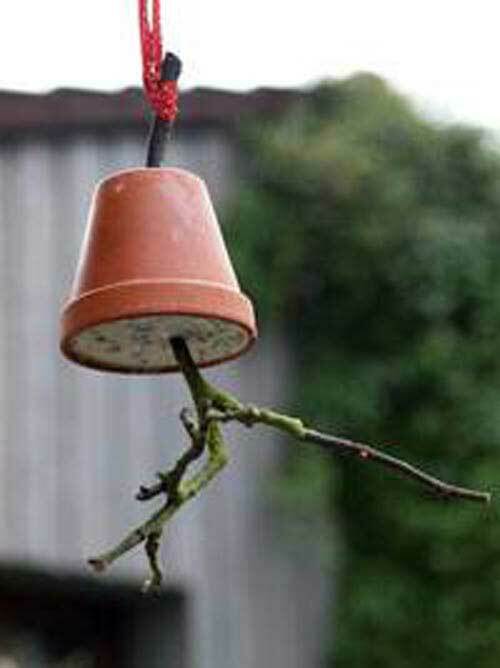 Although not typical of a tube feeder, this attractive and classy terracotta pot version works in exactly the same way. 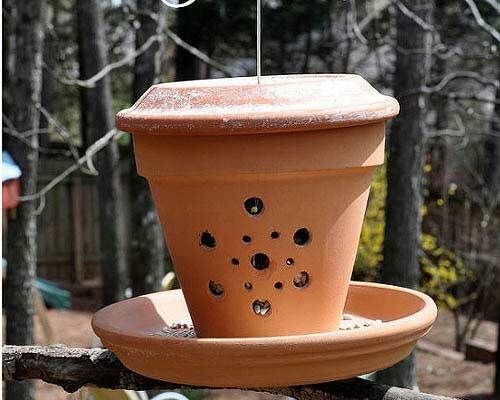 In this one, they have drilled holes to create a decorative, functional pattern of holes through which the birds can feed. 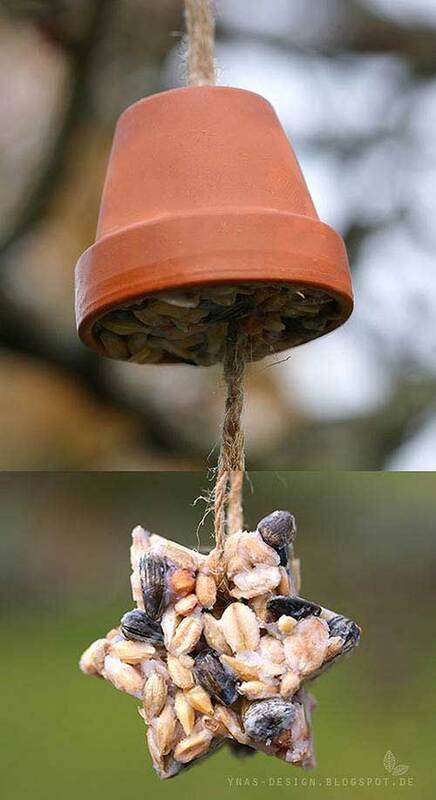 Yet another excellent way to attract the wild birds into your garden. In Winter months especially, these provide the wild birds with essential nutritional, fatty, calories from the suet along with all the benefits of the seeds. Helping the birds greatly during these cold months. 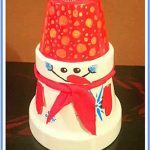 This style fo decorative bird feeders use a cake style seed to attract even the fussiest of wild birds. They tend to have wide openings to provide easy opportunities for birds to grab a quick bite. Keep it all natural, using a small branch piece threaded through the pot and then filled with your fat feed mix. Use a stick for a perch. Just be sure to fix your stick before adding the fat feed, so that it doesn’t come loose as the birds devour the feed. Why not double it up. Use a cookie cutter to shape feed. Birds can now use the rope to feed, from either above or below. 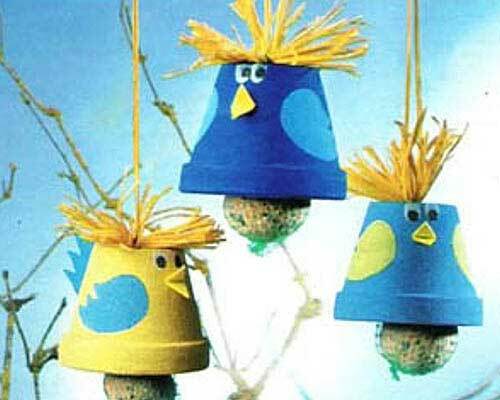 Make bird watching more fun for young children with these cute little brightly colored feeders decorated like birds. For this one, you can use standard fat balls from any pet shop or make your own. So, as you can see. 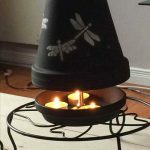 You can easily make decorative bird feeders, and at very little cost using materials that you already have lying around.